At first, every goal seems beyond reach. But it’s hard for Linny to stay in the doldrums when a stray puppy is coercing her out of her shell—right into the path of a kind, compassionate vet. The quirky town is filled with friends and family, including Linny’s mother, Dottie, who knows more about heartache than her daughters ever guessed. And as Linny contemplates each item on her list, she begins to realize that the dreams most worth holding on to are measured not in worldly success, but in the sweetness of a life lived to the fullest. Linny kept her nervousness at bay with a lawn-and-garden-care palooza. She could manage this man, she decided, sitting on the metal seat of the surprisingly peppy lawn tractor, zipping around the overgrown lawn in ever-smaller circles. She’d tell the whole truth about herself and, in the unlikely event that that didn’t scare him off, she’d insist that they start out as friends for a year or two. Later, if he underwent an extensive physical and his financial records checked out, they’d progress to a slow pace of dating. This was the power of positive thinking that her old friend, Indigo, preached about. She nodded her head to encourage herself. 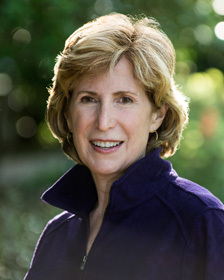 Susan has a graduate degree from The University of North Carolina at Chapel Hill. She has used her work background as a psychotherapist and a business consultant to add authenticity to her characters. Susan is a wife, a stepmother, and a dog lover, Lab Mixes in particular. She and her family live in North Carolina where she is busy finishing up the third novel in the Willow Hill Series. 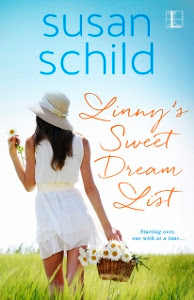 Thank you for hosting LINNY'S SWEET DREAM LIST! Thank you for posting on my new novel, LINNY'S SWEET DREAM LIST! 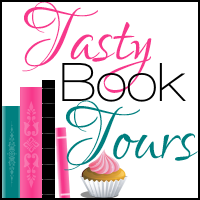 Thanks so much for hosting this promotion for my book, LINNY'S SWEET DREAM LIST. Very grateful for your support!